EGYPT. Cairo. 2011. 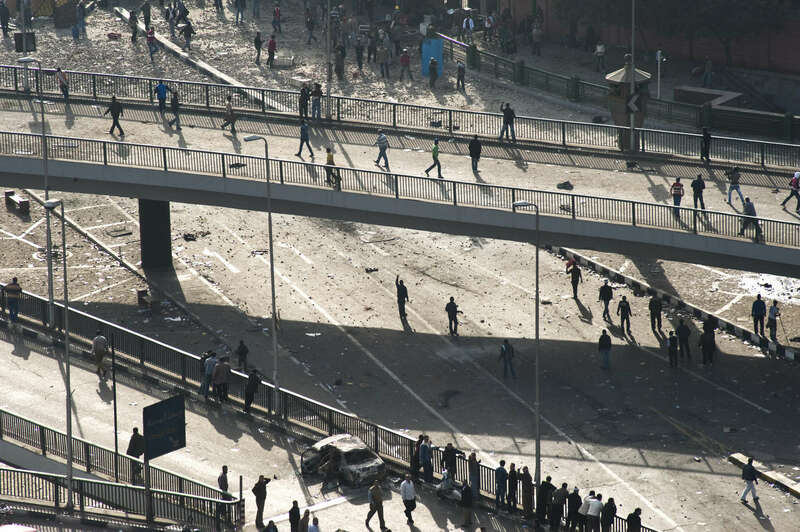 The street battle between Pro and Anti Mubarak Protestors continues well into Thursday 2/3. The battle was fought with primitive weapons; rocks, sticks, molotov cocktails.